The thing is, I have been looking for the copyright of that song since 2014. Or a copy of the lyrics. Or something to prove that Eddie did indeed write the song. So, talk about pleased, I was so happy to see that my friend had actually found a letter from Eddie stating exactly what he did with the song he wrote for his movie! It was amazing to me. When I took my eyes off the page, I realized I had been smiling the whole time. That is such a blessing. The song was sung in the movie by Margaret Westfield. I snapped this while watching the movie on Youtube from the Internet Archives. Unfortunately I have not been able yet to find anything on her. Though she had a lovely voice. According to the internet “Joseph M. “Joe” Davis (October 6, 1896 – September 3, 1978) was an American music producer, publisher and promoter in jazz, rhythm and blues and pop music. I might have found him had I known about him in the 70s. I am in the process of gathering all of Eddie’s songs for possible re-release. Though it is a process. I have to verify copyright and also deal with folks who may claim copyright falsely. I don’t want Eddie’s work to stay hidden. I also want to have the paperwork for my grandson. Any money I make will be minimal-for me, it’s mainly about showcasing my father’s many talents. It’s about what I feel in my Heart. And what makes me Smile. May you become more aware of what makes YOU smile. Welcome. June is Black Music Month. In 2017 I wrote an article for an online magazine Unlikely Stories Mark V BlackArtMatters – this post uses a portion of that article. My father, Eddie Green, wrote many songs in the early 1900s. His 1921 writings included “You Can Read My Letters, But You Sure Can’t Read My Mind,” “You’ve Got What I Like,” and “The World’s All Wrong.” Miss Sophie Tucker, known as “The Red-Hot Mama”, became interested in Eddie’s songs and commissioned special band arrangements for “The World’s All Wrong,” and “You Can Read My Letters, But You Sure Can’t Read My Mind,” she also had Eddie write a special version of “You’ve Got What I Like” for one of her performances. Eddie collaborated with Cuney Conner, a music writer and musical director who wrote the music for “The World’s All Wrong.” The song is about a man who has been searching for his sweetheart and finds her at her dress rehearsal where she appears as a chorus girl. He tries to talk her into coming back to him but she wants nothing to do with him, until he happens to tell her that he has come into an inheritance. The upshot of the song is that it is not the world that is wrong but the people in it. The words to the “The World’s All Wrong” can be found in the Margaret Herrick Library in Beverly Hills, California. The Margaret Herrick Library houses a world-renowned, non-circulating reference and research collection devoted to the history and development of the motion picture as an art form and an industry. This song is included in the library’s archives because Eddie used it in one of his movies, Dress Rehearsal (1939). Eddie’s very first song was, however, destined to become a hit, “A Good Man is Hard to Find” written in 1917, is still being recorded one hundred years later. “A Good Man is Hard to Find,” was copyrighted by Eddie on December 28, 1917. His song writing style was relevant to the times in which he was living and in 1917 the blues was becoming a major part of the music scene. “A Good Man is Hard to Find” was written in a bluesy style, probably so that it would better relate to the general public. 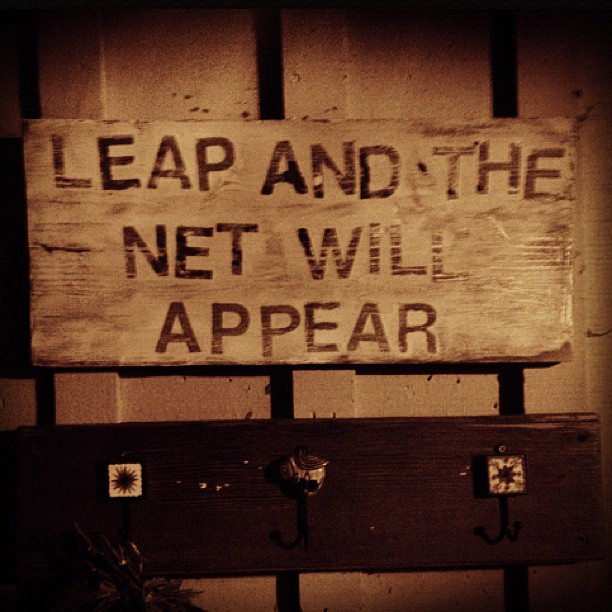 Not being psychic, Eddie could not possibly have known to what heights this song would reach. He had written one of the Jazz standards of the Roaring 20s. In 2017 at my book signing, my niece gave Eddie and I the great honor of singing “A Good Man Is Hard To Find” in the style of Bessie Smith. Unfortunately, I have not been able to figure out how to get Kristina’s version on this blog, but here is Bessie’s. Stay tuned for Kristina’s version and thanks, for stopping by. Merry Christmas, happy holidays and as my mom used to say, a happy 4th of July to you all from my blog celebrating my father, Eddie Green, Comedian, composer, filmmaker, entrepreneur and a good man. I have posted this article from a 1930s newspaper simply because I waited till the last minute and I just happened to have the article because a Facebook friend found it and sent it to me. So cool! The one thing I like about these articles is that when I research the other people that are mentioned I acquire new knowledge. I’ve learned that sometimes one has to look extra hard in order to find information on these old time entertainers. As you can see my father, Eddie Green performed in this show along with other great Black entertainers of the day. I’ve added pics of Jackie “Moms” Mabley and Ralph Cooper further down. Articles like this one here are only to be found in the Black newspapers of the day-once I found out what those were all I needed was the time and patience to go through the archives. This article happens to mention the same program as the first article. The first article mentions a Clarence Robinson and his “Christmas Carols” show. I wanted to get some information about these folks before I typed this post. Well, typing in Clarence’s name into the internet to get some background on him got me nada. So I typed in “Apollo”. Hurtig&Seamons was purchased in 1933 by Sidney Cohen, and after lavish renovations it re-opened as the “Apollo Theater” on January 16, 1934, catering to the black community of Harlem, previously it had been a whites-only venue. The internet info on the Apollo stated that on February 14, 1934, the first major star to appear at the Apollo was jazz singer and Broadway star Adelaide Hall in Clarence Robinson’s production Chocolate Soldiers, which featured Sam Wooding’s Orchestra. The show ran for a limited engagement and was highly praised by the press, which helped establish the Apollo’s reputation. Well, there you go. You’ll notice that Eddie was on this same bill with Jackie “Moms” Mabley. I discovered Moms Mabley when I was about sixteen. She cracked me up. Turns out that at the height of her career, she was earning US$10,000 a week at Harlem’s Apollo Theater. One of her regular themes was a romantic interest in handsome young men rather than old “washed-up geezers”, and she got away with it courtesy of her stage persona, where she appeared as a toothless, bedraggled woman in a house dress and floppy hat. I heard her talk about “George” and that white suit “I bought you”. She was too funny. And my father had once been on the stage with her. Remarkable. And this is Ralph Cooper, the originator and master of ceremonies of Amateur Night at the Apollo Theater in Harlem. Ralph, also known as “The Dark Gable” (so handsome) was an American actor, screenwriter, dancer and choreographer. Starred in “The Duke is Tops with Lena Horne” in 1938. Ralph was also a producer and a director and starred in at least ten movies. He was working in this capacity just ahead of Eddie who started his movie making career in 1939. Mr. Cooper was with us until 1992. I would have loved to have met him. According to Wikipedia (which I love), although the theatre concentrated on showcasing African American acts, it also presented White acts such as swing bandleaders Harry James, Woody Herman and Charlie Barnett during the swing era, and, later, jazz greats Dave Brubeck, Stan Getz and Buddy Rich. Also, Jimi Hendrix won the first place prize in an amateur musician contest at the Apollo in 1964. And even these greats performed at the Apollo: James Brown, George Clinton and Parliament-Funkadelic, and so many more. Just one big happy family. Happy, happy Holidays everyone!! And thanks, for stopping by. I have a few newer followers to this blog. So I am posting a bit of information, some of which is in my book, for the newer people, though I have added new information in this post that I have only found today. I have also included a YouTube video, so there should be something for everybody. Say Hi to this guy Eddie Green, my father. I began this blog in order to chronicle my research into and my writing of his biography. A rags-to-riches story of a man who was a composer, Broadway and movie star, an Old Time Radio icon and filmmaker. The book has been published and has even won a Foreword INDIES 2016 Bronze Book Award (yay!!). I am in the process now of visiting libraries and Rotary Clubs and other venues to give presentations. I have been interviewed on podcasts and a National Radio program, and on YesterdayUSA. And I am continuing to post on this blog, one reason being that I am still learning new information about my father, another is that I continue to make good friends as well as good contacts. And I continue to discover that there are lots of people in this world who knew of my father and wanted to learn more. 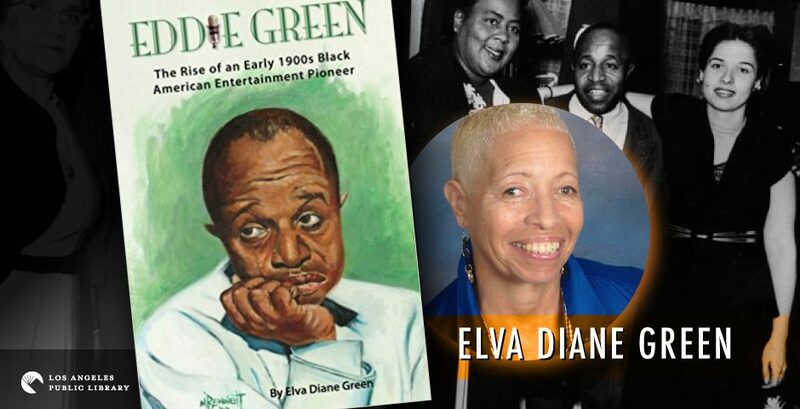 The title of the book is Eddie Green The Rise of an Early 1900s Black American Entertainment Pioneer. In the book I mention a song that Eddie and another actor, Ernest Whitman, sang in 1945, “One Meatball”. I decided to post a YouTube video so that my audience (you) can hear Eddie announced and, can hear his voice. The song is by Hy Zaret and Lou Singer. What I didn’t put in the book is the journey this song took before it got it’s current name. In 1855 while living at Cloverden in Cambridge, Massachusetts, George Martin Lane wrote the song “The Lone Fish Ball”; after decades as a staple of Harvard undergraduates, it was modernized into the popular hit “One Meat Ball”. The song is composed upon an old english folk song entitled “Sucking Cider Through a Straw”. According to Professor Morris H. Morgan, the song is based upon an actual experience of Lane’s at a restaurant in Boston, although the reality involved a half-portion of macaroni, rather than a fish ball. The song goes on to relate the impoverished diner’s embarrassment at the hands of a disdainful waiter. After becoming popular among Harvard undergraduates, it was translated into a mock Italian operetta, “Il Pesceballo”, by faculty members Francis James Child, James Russell Lowell and John Knowles Paine, set to a pastiche of grand opera music, and performed in Boston and Cambridge to raise funds for the Union army. A fish ball was for breakfast, cooked fish and potatoes pan fried together. In 1944, the song was revived by Tin Pan Alley songwriters Hy Zaret and Lou Singer in a more bluesy format as “One Meat Ball”, and the recording by Josh White became one of the biggest hits of the early part of the American folk music revival. The song has been performed by The Andrews Sisters, Bing Crosby, Jimmy Savo, Lightnin’ Hopkins, and others. Hy Zaret lived to be 99 years old, dying in 2007. So, take a few more minutes, sit back and enjoy seeing my father, Eddie Green, and his friend Ernest Whitman in this compilation of images put together by jazzman and tugOjackson just so I could find it and share it with you. If it wasn’t for Edward, I may not have written a book about my father. My father’s birth name was Edward and he later changed it to Eddie. My grandson’s birth name is Edward (for reasons other than what one might think), and he later began to go by Eddie. The picture on this post is Melony (my gorgeous daughter), Edward (aka Eddie) and me, Grandma. Edward is about 24 in this picture and he was about six years old when I conceived the idea to write a book. This picture was taken about two years ago and my book has been published as of this past June. My father, Eddie Green, died when I was a little child. I grew up with the knowledge that he had been “somebody” in the entertainment industry, but it had never been paramount in my mind. As a youngster I wanted to be an entertainer, I wanted to be a singer and entertain the world. When I thought I had said something funny, I would tell my mother it was because Eddie (the comedian) was my father. But I never wanted to write a book about my father. I became aware as I got older that my father had been a successful man, as an actor, a composer, filmmaker, singer and Old Time Radio personality, especially as he was a Black man coming along in an era of major struggles for Black people trying to get into show business. Still, I did not consider writing a book. I was proud of the fact that my father had been in show business. I was proud of the fact that he wrote the song “A Good Man is Hard to Find”. I even heard Alberta Hunter singing the song on the Jazz radio station in Los Angeles in the 80s. Cool. And then Melony had Edward. And then Edward began school, which meant homework. Nobody likes homework. Homework is hard. I think Edward is a genius now, but back then he had trouble with homework and when he was told to do his homework, he would say “I can’t”! Well, what grandma wants their grandkid to grow up thinking they can’t? So, I got the brilliant idea to use my father, his great-grandfather, as an example of what a person CAN do, no matter what. And so began the process of research. Little did I know that Eddie’s career as an entertainer and as an entrepreneur was far greater than I had thought. His life story truly was inspiring. And could inspire other people struggling with the seeming difficulties in life. The fact that Eddie was a Black man born in 1891 who attained certain heights in what was seen as a White man’s world just made his story more awe-inspiring, to me. Being a modern Black woman, I had to get over my feelings of discomfort when I saw my father in black-face on stage on television, I researched the issue and gained a better understanding of why. But the fact that my father is one of the first Black men to be on the first RCA-NBC 1936 test demonstrations of television BLOWS me away. The man is on the internet today! He looks funny, but if it had not been for people like Eddie back then, Blacks would probably not be where they are today. If it had not been for people like Eddie, who rose against all odds, I would not have this story to tell to provide motivation to anyone who needs it. If it had not been for Edward, my grandson, I may not have known that I could write a book. He told me after the book was written that “no matter what else happens, just remember that you wrote the book”. (He is a genius) And that was the point. To write a book demonstrating a persons ability to achieve success in their endeavors, no matter what. Wow, I was long-winded today. Hey, thanks for stopping by.